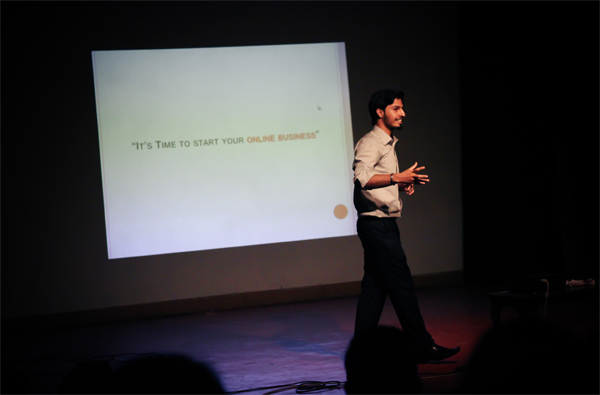 Mohammad is a young Entrepreneur running a number of sites from his living room. He is an experienced SEO Consultant, Computer Engineer, Professional Blogger & an addicted Web Developer. He runs STC Network which offers Web Services and Online Business Solutions to clients around the globe. STC Network was founded in 2008 and is currently the Country's First Registered company of Professional Bloggers. The company has introduced several new faces online and continues to motivate teenagers in Schools, colleges and Universities through workshops and seminars. Following is Mohammad's most comprehensive Nationwide Interview on Radio Planet FM 94. Country's biggest media house i.e. JANG Group, has also featured Mohammad's seminars and conferences on entrepreneurship and make money online. In February 2012 Mohammad Launched his second blog on Smart Earning Methods which is now serving tons of quality articles daily to a much broader audience. In January 2013, he launched his third blog Project on Rich Income Ways which is indeed a great refreshment stop for people who look for practical inspiration. MBT being the Parent blog of STC Network, is counted amongst the most authentic resource site for Google blogger and has a loyal readership of over 100K regular readers AlhamdulillAh. The purpose of publishing MBT BLOG was to provide high quality Blogging tips, web designing tutorials, practical SEO tips and Online earning methods. Each post is published with a hope so that every blogger may learn the core basics to establish himself as a skilled entrepreneur, act as a rich resource to the online community and make a happy living online. MBT is not limited to Google Blogger alone, the keyword Blogger in its domain is referred to people who blog for a living. Blogging requires a little hard work but a lot of patience. It lets you to communicate with a multicultural online world of 2.2 Billion people, each of them is eager to find out, what have you got to share. So respect this opportunity and work hard with sincerity. Blog only to spread knowledge and love. Give more value to Quality content, respect Copyrights, your Readers and hate Blogging for money alone. I am blogging since ten years but I still feel like a newbie and this is what that keeps me pushing to do more. Please remember to be thankful to GOD Almighty for gifting you with the ability to read and write. Everyone of you is a born genius, you just need to recognize your God gifted potentials. Wishing you all a happy Blogging career. Stay blessed and be happy always. Peace and blessings be upon you all. " Awesome job brother Mustafa, this is Belal from New York City, I'm very proud of you, quit astonished to see your excessive knowledge in blogs. Damn, you really are a fast learner I remember 4 years haha, let me stop. Anyways, just passing through showing some love on your page. Awesome job, not even sure if you will see this since your so busy! Shoot me a email bro. I am really flattered by your kind complements! Well web designing still not sure of :D just tweaking blogger's template and learning things through trial and error. I am really honored with your visit and expect to meet you in Pakistan soon. Nice bio... You really a good person buddy not just because you are a blogger but I think in reality. I hope we could be friends. I also run a blogger tricks and tips blog but still I am on the process of learning. Like you, I am also thirsty of learning new things especially those things I love. If you don't mine you can have a view on it. I am hoping to learn more from you in the near future. Good luck to all you blogging and tweaking efforts. God Bless! FLix I visited your blog. The articles potray your extreme knowledge about making money online using cyber space. With a little customization of your sidebar you can surely give a really neat and clear look to your blog. I am thankful for your encouraging comment. Hi,I'm your new readers from Malaysia. I'm just promote Your blog to my new post entry. Feel free to visit my blog,and maybe you can give some comment or advise,but my blog language is in Bahasa Melayu. Thanks for very great information that you give in your blog. p/s- sorry for my poor english written. hei there bro, good job. keep it up.I am a newbee in blogging.Looks like I have lots of things to learn from you. will visit your website frequently. I've stumbled upon here, stunned by beautiful works of yours. i've learn a lots from ur tutorial. Thanks for sharing the info. Nice work. keep it up. One more I just wanna say thanks for all the tips. Assalam o Alaikum, Muhammad Mustafa. I am Jalil ur Rehman from Lahore, Pakistan. I am a muslim too. I also love blogging and wish to be a nice blogger like you. I have started blogging in the start of 2010 as a hobby. I am a Fan of your blog. I have subscribed your blog. Your article helped me very much in my Blogging. I have also a blog: freshtips.blogspot.com. Please visit. And don't forget to subscribe my site. I shall be very thankful to you. This is sunil and www.firstupdates.com is my website. Look into this and lemme know how could i improve it to look much better. Nice blog...it help me lot and provides more knowledge. You inspired me to do more with my blog as well my friend. More power to you! was just surfing on internet tired of writing..so just starting analysing different blogs :D ..Glad to know you are from Pakistan and more Glad to know that your blog has a page rank 4 :)..keep it up and good luck.. Thanks Alot bro for sharing such a nice blog..
wow you are Pakistani , i m proud of you!! You are so inspirational !! Thanks a lot brother, I think you are from Indonesia!!!. your every article is my inspiration to build my blog and I follow your site in my dashboard profile. A salamualikum dear brother! I'm Maria and I'm also Pakistani. I've followed your blog, facebook, twitter and google + because I'm your big fan. I'm your regular reader. I've messaged you for link exchange request, this is again a reminder message. I hope you'll reply to me soon. Hi MOHAMMAD this is Suresh from India.I'm your greatest fan.I love the way of your blogging and the articles in the blog are very informative.I'd bookmarked your blog very long back.Keep posting bro.All the very best. plz send me ur contact number or email id em also master in these things n em also a big hacker.. Here is your Indian brother visiting you pal.....great blog...keep it up !! haii.... i was read your blog. all about your writing and tutorial is very nice..
Sallam My dear Brother Mustafa Ahmadzai! I read your bio with interest, you really struggled to gain this position and i am really proud. you have mentioned that you currently live in Karachi Pakistan but you didn't mentioned your nationality. All Ahmadzai Family are from Kandahar of Afghanistan you should mention it in your bio let all Afghan's be proud just like me. I am asking you again plz mention it in your bio that you are from Afghanistan. I'm also a blogger like you and I really enjoyed your writing style and tutorials. you have such a great blog. I also learned about blogging in Karachi. I lived in karachi most of my life and then moved to Afghanistan. Now I live in Kunduz, Afghanistan. i had one website in google sites.. I have just started blogging 6 months ago at some points i feel lyk to give up, But loosers give up not fighters so, i will continue !!!!!!!! I am Also From Gulistan-e-Johur, Karachi. Some Of My International Friends Thinks That Pakistanis Can Not Build Any Thing In The Way Of Internet But You Are A great Example For All Peoples. I Am Also Founder EXEIdeas International. I Love Web-Designing And I Know HTML-CSS But For Blog You Did A Great Job For Me. I Have Also A Great Wings Over Internet Which Can Not Be Describe Here. I Have Nearly 5 Website, 15 Blogs, Social Media And I Also Design Others Website. And In End A Special Thanks To You From My Company. Bro your contact form dont working because i wrote here! First I want to say that I like & folow your blog Mohamed. Please help me say how I can set in my sait border how that yours? please that is important! Mustafa Brother, How are you? Today, I was looking for a keyword "why the pagerank of my facebook is not increasing" through google. On the first page of Google, Your blog along with a small pic of yours appeared. I checked the blog and immediately bookmarked it as lot of interesting material were there in your blog. Brother! I need some help from you, if you could. Your reply is awaited. Thanks. Great work brother. You have awesome collection of blogger facts. I want to ask something from you, do you pay something for your domain name? From which website you have purchased( if paying ) this domain name? Salam, I am Furqan Muhammad Khan from FE in your department. I was there when you presented in FAST. From you and an earlier workshop motivated me to start doing something. I have begun a couple of weeks ago. I want to but don't get a chance to talk to you in the university. Please have a look at my start. Should I carry on? Your webpage is really helpful.. I want to become a Web Designer like you..
Sir,can you help me ?? I would like to thanks for give amazing information which every beginner and also for professionals can take benefit..
HEY Mohammad Mustafa Ahmedzai I am from India i want to become author of your blog I will write for Css,jquery and html. I don't have any hesitation to call you a blogging wonder boy. Much impressed by your advice to new bloggers and I am one of them. Just a month ago started my blog www.pollutionpollution.com after facing a fiasco in running an Urdu website on investment. Following the course of never-give-up started new venture with bit planning and working hard with hoping for the best. Would be much blessed if you simply once visit my blog and give me feedback of your birds eye view. I am demanding so much from you because of your considerate advice to new bloggers like me. This is me Muhammad Hasnain creator of SCIENCE, Pakistan (www.pakchem.net) Blog. I also live in Karachi. I really appreciate your work. You are doing very well man. How much does your blog earn per day? Assalamu Alaikum brother...Very nice and informative blog.More useful contents.I too own a blog and its name is http://www.grabtheknowledge.in/ you too visit it and give me ur valuable feedback. Nice blog and I learnt how to put meta description right as well as putting description for search for each post in blogger. I would like to ask you one question that in my blog there is some gap between header and horizontal menu bar. How can i remove that? Bhai MyBloggerTricks is just a amazing site! I am a great fan of MBT! I listed your website as a top source of Bloggers tips & tricks etc. Really I'm very much impressed from your words. You are really a good blogger and a good human being. And very well said "Everyone of you is a born genius, you just need to recognize your God gifted potentials", I really appreciate those words. Brother Mohammad please review my blog http://saftdatasolutions.blogspot.in/ and http://organicplatform.blogspot.in/ and suggest me to improve my blog. After hovering over your website ultimately I have come to know you properly :). Thanks Bhaiya Keep it Up ! This I posted it in one of your article’s comment column, I am sorry for the repetition. After posting that only I found this page, so I am posting it here with a bit of change. Hope you do not ignore. im very glad to share with you all that bloging is beauty when you learn an implement at thesame time. Thank you for such a nice post was really happy to make such a nice page for my blog . hey great website, you have helped me with alot of things on my site and it looks way better. thanks for the help :) i would like to know how you do that at the bottom of your site. where it says subscribe, recipes. I am very proud that there is a moslem who reaches this high position to the extent that google engineers consider and appreciate his opinions. Great Site , Great tips hat a work man thanks a lot always thanks to ALLAH . I'm glade you are living in Karachi i am also and i wanna become your student. Your blog is fantastic! Thank you so much for all of this information, I've been learning a lot from you! This is so valuable. I'm your fan MOHAMMAD.I always read your articles. i want to become a man like you or that of amit agarwal in the future because i love my studies,computer and blogging. Hy mohammad, i wrilly apreciate your blog and your personal. especially because of your religion islam, hahaa. . . I just found your blog and I LOVE it. It's full of great information for a beginner like me trying to increase circulation to my blog. I'm still in the process of designing my blog...which posts on your site would you recommend for someone like me? i am graphics deginer also beginer web deginer..
Ohh great! What to say? I was stopping by here, proud of you. I am agree with your advice to new bloggers. Can you tell me in 2013 is blogging is good i mean there are some rumors that in 2013 getting traffic in blogs are difficult. Hi Mohammad, just wanted to say congratulations for the amazing blog! You really have some great tips, which are helping me a lot with my blog! Although I am not that much of a blogger as you see guys in this comment forum, I am just a System Engineer and an Android Application Developer, but I recently just read some of your posts and I must admit, your work is motivational and worth appreciation, I hated blogging until now because no one guided me correctly, but I am starting to like blogging after reading your posts. May God bless and bestow his blessings upon you. Where mentioned is he from karachi? MOHAMMAD MUSTAFA AHMEDZAI thank you for your articles. So much for themselves found and used. I have a very interesting project to make money on the Internet. Earnings are not ogranichen. If you write me at vitali.grechuhko@gmail.com I'll tell you and explain. Dreams come true. but due to some schedule related problems i am unable to make posts timely. @Mustafa, I have been researching and doing development for years now but nothing amazed me this much as your work really did. As an appreciation gift of all your efforts i will soon start the development of an Android Appilcation Version of your website, this way i am quite sure that we can help more people. Thanks for the template ya akhwan.. i'm a beginner of blogger.. i hope your advices to me keep learn and moving forward to be better in the future.. i'm from Indonesia..
Great post about Author how can i create like this is there way to create About Author??? I want to create like this please let me know ho to????? i love all posts on mbt..
Ur the king ... ur the king maker ... i'll visit daily and collect all ur links and read ... awesome information.... i starting my profile as seo, but my friends, family friends and relatives are laughing about my profile. I want to prove my self ... what i am and who i am.. I am new in blogger and I like your blog very much and I found it one of the best blog ever. 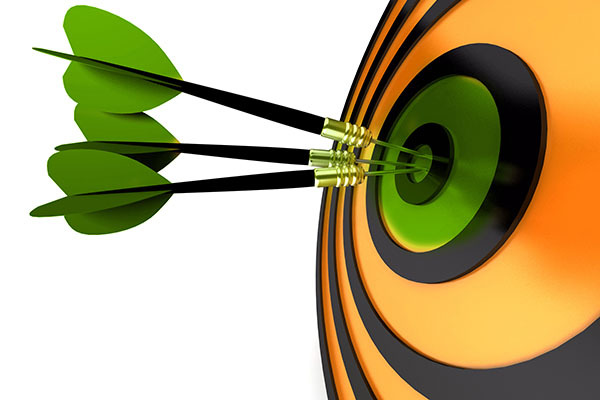 i am so impressed by your writing skills and the in-depth knowledge.You are doing excellent job.all the bloggers like me are getting useful information from your blog..i have a blog http://www.webcodeexpert.com/ to share technical knowledge and getting benefits from your blog regarding SEO and design. Hey,you are a real genious of blogging world .I would like to salute your for the way the story of your article flowed.Post these kind of articles always.. I am so glad to be here! Thanks I found this blog.... I celebrate you! wish your developing all the time Mr Ahmedzai.. Thanks to your template ..
Nice! As i consider, you should be no.1 blogger of pakistan. You are doing good keep it up! You're one of the great bloggers I've seen. Mustafa bhai aap ki site tricks k liye dunya ki sab se best site hey. I am inspired, your motivation for blogger is very pure like diamond, you do blogging due to willing to help many people. that's inspiring me so much. how can you did it mustafa? your blog is amazing.. thanks for inspiring me.. i wait your next blog tricks.. greeting from indonesia.. Thanks man, thanks for everything! you really are one passionate teenager. We've got much talent here in Pakistan! though I'm still real young to give compliments but mayn you're damn awesome!. A teenager who's spending his time in the right way.. I'm a little blogger too.. and I look forward to choose the same field for the future. Stay blessed! Allah Hafiz! Thanks for every post in this site, you always help me to edit my blog, even i'm a newbie blogger and even me just a senior highschool student. Hope the best for you, me, and the others. Yet one month, I became an affiliate amazon. I only make one product - 1 page. Can be counted on the fingers of visitors to my blogspot. I need criticism and suggestions from you. As a beginner, I was in desperate need of your help. Mashallah Man. I wish the best for you! First time read someone's bio, infact a big article, umm may be cox I too wanna be an Entrepreneur. May you have great future ahead! And Me too! hi admin i saw ur post very honestly i reads all ur article which provided for the new bies .i need your help just check out mywebsite whether my blog or article is it ok or not. Bro you are inspiring me. I started blogging this year two month back to overcome my economical problems. Good news is its approved by Adsense . Kindly don't focus on revenue for at least 6 months in order to drive smoother organic traffic which may long last. Revenu will come by itself the sooner you start focusing on quality content. ASSALAM-O-Alikum Muhammad Bro.How Are You, I see your Website.Very impressive. I Need A small help can You give me Only 5 Minutes? W.salam buddy. Thank you for the kind feedback! That was so good to read about your struggle and devotion. You are really a true motivation of many people. I wish you lots and lots of success in 2016 and beyond! You're a great inspirational blogger, Following you since 2012 and getting more and more useful great tips. Liked your blog very much! It gives me push to keep blogging seeing people like you. Software Engineer in Aptech Computer Education in Pakistan. 1. A web developer Can Earn mare than a Software Engineer So is it not better to be a web developer instead of wasting 4 years of graduation? 2.I want to be web developer, web and mobile based application developer so is it necessary for me to be complete Software Engineer? 3.is this question asked to a web developer at interview time" Are you Graduate or Intermediate"indeed he/she is a addicted web developer ? 4. What is Software Engineer scope who are from Aptech(if you know about this IT Institute) Computer Education's diploma holder in our country/abroad(USA & Canada)? Glad to see your amazing blog, Mustafa. Greetings from Indonesia! Your blog inspired me, keep it up. Blog yg sangat bagus.. Mudah2an bermanfaat buat saya.. I studied your blog, it is awesome to read and understand. Keep posting more like this. I am trying to implement those strategies. Aoa. Muhammad Mustafa bhy very amazing , i was smiling while reading about you, i feel its not you, its i am.i am very very happy to have the opputunaty to reading your blog and also motivated . Hello Mohammad, I just wanted to say that your blogging ability to captivate readers is amazing. I have enjoyed reading your posts all day. I am never engaged so job well done and keep up the wonderful work. i am also a blogger i have also some knowledge about blogging and wordpress..i made this website on local server then i move from local server to online server. Such a nice quotes, boosting new bloggers. assalam alaikum ahmed bhai. i want to earn money using blog. but i dont have enough knowledge and no one give me satisfied detail. can you please help me? Not a single answer after jan 2016, quite a bussy person. I just wanted to thank you that you have made so many informational posts. I just have started blogging. Wasnt aware that blogging also requires knowledge of language and computer. I just thought that its easier to convey your passion to a large commiunity without any hassel. But now i m just thinking otherwise. I dont know the abc of language how could i do and reach a large population. Sorry that i have started my own story but you are great and helpfull too. May god help you too so you will always help others. If you could please help me in telling me what are the areas of improovements. And how can i follow your blogs. 1989 Born in Balochistan in a middle-class family. 1997 Started working for $5 per month at a local flower shop after school. 2000 Family moved to Karachi in search of good future. We had nothing except $5000 cash. My father and 2 brothers worked but mother forced them to let me go school. 2001 Was mocked in school for poor accent of Urdu and English. Achieved 1st rank in same class (6th grade). Skipped 7th grade to save one year. Mocked again in 8th grade. Achieved 1st rank in this class. Alhamdulillah no one mocked afterwards. Modesty and hard work made this possible. They were all genius but not focused. I was really slow but steady. 2006Completed "O Levels" with best result. Got admitted on merit for "A Levels" at St. Patrick's High School. 2008Completed "A Levels". All my classmates applied for Oxford, Harvard, MIT while I could only dream of it. I applied to a community college in New York but was denied VISA due to poor financial background. 2008-09Due to depression I could not continue higher studies for one year. During this time I came across Blogging. I loved playing with CSS and HTML by customizing the look of my first blog. Whatever I would learn, I would first apply it on my blog and then share it with people online. I had just 5-6 readers at this time and was earning only $1 a month with AdSense. A single comment on my blog would mean a heaven! 2009I joined NED University to complete B.E in "Computer & Information System Engineering". To afford my study fees, I started giving tuition to O/A Levels students at home. 2010 Got BuySellAds approval. Earned my first $10 with a banner ad! $10 may sound less but it is worth a thousand dollars on first attempt for someone who is struggling day and night. Sincerely thanked Allah for this biggest happiness. 2011Lost my brother and half my heart. Since then my responsibility as a son increased. I started blogging even more seriously and would blog for 16-24 hours a day. 2012Launched a second blog "Smart Earning Methods" and started hiring authors. 2013Launched our third blog "Rich Income Ways" and later a URL shortening service "Ucut it". Completed graduation and become a Computer Engineer. The best of all I got engaged this year! By this time, all past hardships were gone Alhamdulillah. Trust in God and staying focused on one goal at a time made it possible. I was just an ordinary guy and too small for such an early recognition. It was surely thanks to God and to the beautiful community online. BlogoSphere thus became my second home. 2014Got married! Surely the best day in any human's life. 2015Blogging from home is difficult after marriage therefore launched our first Head Office this year. Became a father to a baby girl Ifza! All praise be to God. 2016I created a site for my baby Ifza based on Amazon associates program called 10ideal. I have just laid down the basic foundation and will make it live when the right time comes. 2018This year there is a lot that I have planned. I am doing something really different. It will either reshape the way, people do blogging inshAllah or it can turn out to be just another good try. Just need your prayers. I will update this section when the year ends. Thank you for honoring this small man with your love and respect always. Wishing you all, the best of life buddies. Just do your best and let God do the rest.